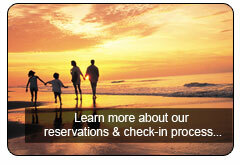 "My wife and I enjoyed a entire romantic weekend in Hilton Head for the price of a nice dinner - great deal!" Learn How To Save With EGV! Because of our relationships with other businesses in the areas which we offer vacation packages, we are able to negotiate rock-bottom rates on hotel rooms, dining, and attractions and we pass the savings on to you. We also feel that your time is valuable, and as such, we are willing to offer you discounted vacation products in exchange for a short piece of your time, in which you will learn more about the exciting vacation opportunities available with our resort partners. It's quick, easy, and requires no commitment on your part whatsoever. It couldn't be easier to save a ton of money on your next vacation! Book your vacation confidently with our "No-Risk" guarantee! 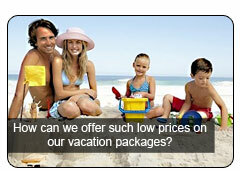 We make it easy to purchase your package, while allowing you to reschedule or cancel if you so desire. Cancellation and reschedules are subject to the following policy, which takes all the worry out of booking your vacation! Reschedules: You may reschedule your package at any time prior to 72 hours before your check-in date without penalty. Cancellations: You may cancel your package without penalty by notifying us by telephone no more than 48 hours after the time that your booking and package purchase is finalized. 3. You will receive your "Welcome Package" in the mail in several days - this package will include all of your confirmation information, as well as directions to our welcome center. 4. Upon arrival in your vacation destination, you simply need to stop by our welcome center, where you will receive your hotel check-in information and directions, if necessary. You will confirm your preview time at this juncture. 5. On the second day of your trip, we ask that you attend a short, 90-minute personal guided preview of our partner resort. This no-obligation presentation will familiarize you with our partner resorts and the many amazing vacation opportunities they can provide to you! 6. After your preview is completed, we will issue you your cash certificate, good at any restaurant, attraction, and business in your vacation destination and you will be off to enjoy your vacation!